Trio ENSEMBLE TOSS THE FEATHERS ! Dimitri Boekhoorn, post-doctorate student and teacher at the university of Rennes II, comes from the Netherlands but is living in Brittany. He has two passions: Celtic Studies and music. He teaches Celtic Civilization and Breton classes at Rennes II, while being registered in an international thesis on mediaeval celtic literature at UCC (University College Cork, Ireland). As for his second passion, he plays traditional Celtic and other music as well as his own compositions on several harps, flutes, whistles and the bagpipe. While having taken some classical harp classes, Dimitri is rather self-taught, because he plucks the wire-strung harps with his nails like the mediaeval gaelic harpers, rather than pulling them with the fingertips. He thus changed his playing-techniques radically, creating a rapid, ornamented style, allowing rythmic precision while playing dance music. 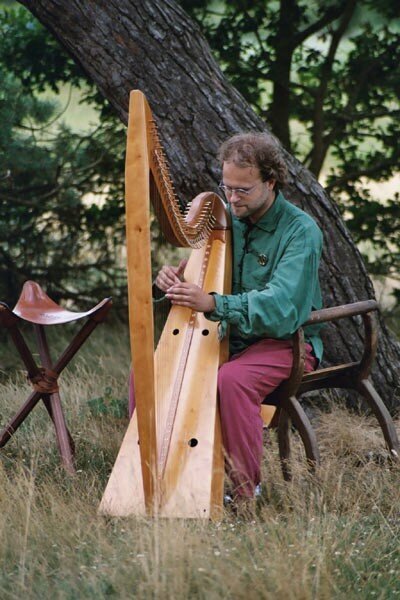 He plays a celtic baroque harp and a copy of a mediaeval clairseach made by the Swiss harpmaker Claude Bioley. 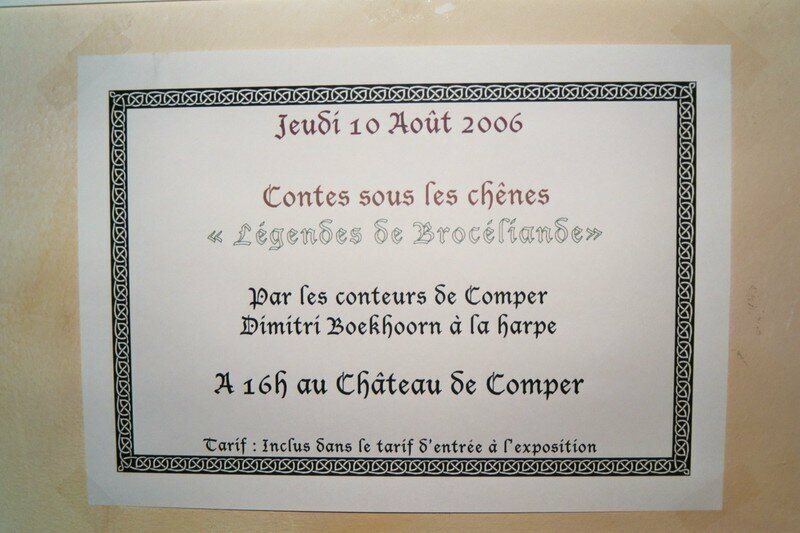 He did several Masterclasses with outstanding harpers: Pascal Coulon (south-american harp), Rüdiger Oppermann (wire-strung harp, worldmusic), Janet Harbison (Irish music) et Ann Heymann (clairseach, mediaeval gaelic wire-strung harp with gold, silver and bronze/brass strings).Invited to give some concerts and conduct a workshop at the international breton harp festival at Dinan (2004, 2006), Dimitri performs also as a soloist. Influenced by Celtic, South-American, African and Oriental music, Dimitri plays the wood- tin- and low-whistle (rather staccato), ocarina, and the Galician bagpipes as well. Dimitri performs with a duo and a group 'GWEZEL'. Their duo played several times in Brittany with the galician musician Carlos Nunez. For further information on the group, photos, recordings, concerts and workshops, please visit their website (there is a link called 'Gwezel').